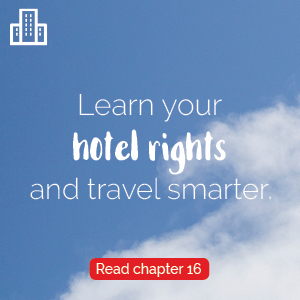 This “Rooms to Explore” feature focuses upon places throughout the country and the world where I have stayed that became part of the experience of visiting a destination. Places that bring to life the local history, culture and lifestyle in a very meaningful way – where the sightseeing and travel experience begin in the lodging itself. When I’m lucky enough to come across such places, I take pleasure in sharing my fortunate encounter with others. During our first visit to Japan, my wife and I marveled at the countless temples, shrines and other historic structures in Kyoto, which have embellished the city since it was the country’s capital from the 8th to mid-19th century. In Tokyo, we delighted in discovering gems from the height of its historic “Edo” period (15th to 19th centuries) which are hidden beneath the veneer of a bustling ultra-modern city. 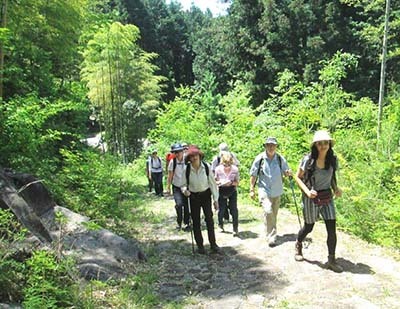 But it was our five days of walking along a section of the Nakasendo Way, the ancient trail that connected Kyoto and Edo, which provided the most meaningful introduction to the history, culture and soul of the country. And nothing brought those attributes to life more than nights spent at tradition-rich Japanese guest houses strung out along the route. The 310-mile-long Nakasendo Way, which was laid out in the 8th century, was trod by shoguns, samurai and other high-ranking officials and the underlings who comprised their entourage as they traveled between the two major cities in ancient Japan. The Japanese guest houses’ support staff tended to the horses, prepared meals and took care of the countless other chores, major and minor, that provided the comforts and luxuries to which those who occupied the upper levels of society were accustomed. Our five-day trek with Walk Japan (www.walkjapan.com), a tour company that certainly lives up to its name, traversed a section of the historic route through deep valleys, past rushing waterfalls and over mountain passes. We encountered numerous Shinto shrines and Buddhist temples. Here and there stood a lonely farmhouse, some surrounded by rice paddies, and a centuries-old mill and wooden waterwheel. Come nightfall, our band of hardy hikers followed in the footsteps — literally — of the feudal lords and other members of the gentry who proceeded us along the route centuries ago. “Post towns” were spaced a day’s travel apart to provide overnight accommodations and food to those travelers. The traditional wooden buildings in some of these historic villages have been lovingly restored and continue to offer the same services they did 200 years ago. Most memorable was the night we spent at the Maruya inn just outside of Tsumago, one of the best preserved Post Towns. 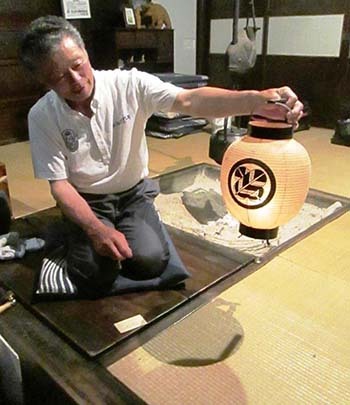 Fujihara Isao, who looks much younger than his 72 years, explained that the modest Japanese guest house has been providing accommodations and meals for travelers on the Nakasendo Way since 1789, and that he is the 12th generation of his family to operate it. Even before we entered the wooden building, we began to experience the feeling of having been transported back to ancient Japan, and share the experience of those who had preceded us by centuries. A small door for people is framed by a larger one that once accommodated horses. In olden times, part of these rambling Japanese guest houses served as a stable to house animals on which some people rode, while others carried provisions required for the trek. Today, that section of this building serves as living quarters for the owner and his family. Entering the wood building on the original rough stone floor, we removed our shoes and replaced them with the slippers neatly lined up on shelves near the front door. Some roughly hewn original wood beams continue to support the ceiling. The nine bedrooms have traditional paper walls, painted screens and sliding doors, and guests sleep on fluffy futons laid out on the wood floor. The bedding is filled with buckwheat seeds which, to my surprise, can be surprisingly comfortable. Dinner and breakfast, which are included in the price, turned out to be a kind of Japanese tapas, similar to that served in many restaurants, with a number of small dishes arranged in creative ways that tempt the eye as much as the palate. The main feature of our evening meal was grilled perch which are raised on site, while breakfast the next morning was a varied affair that included both typical offerings like salmon, rice and seaweed along with eggs, banana and potato salad. Another immersion in Japanese culture, literally, took the form of traditional baths, which often are available at Post Town Japanese guest houses. At Maruya, that meant spritzing ourselves while seated on a stool, then soaking in one of a series of hot pools in a tranquil outdoor setting – all the time “wearing” our birthday suit. In answer to your question: Yes, men and women are separated. Fortunately for anyone traveling to Japan who may be thinking of repeating my experience, Mr. Isao’s son and daughter-in-law will continue to run the Maruya inn. The rate including two meals is $84 for the first person, and $81 for any additional guests. For more information, log onto tsumago-maruya.com. Sunday musings: Hacking gone wild, visiting Heathrow’s control tower, bikes & cars — let there be love?